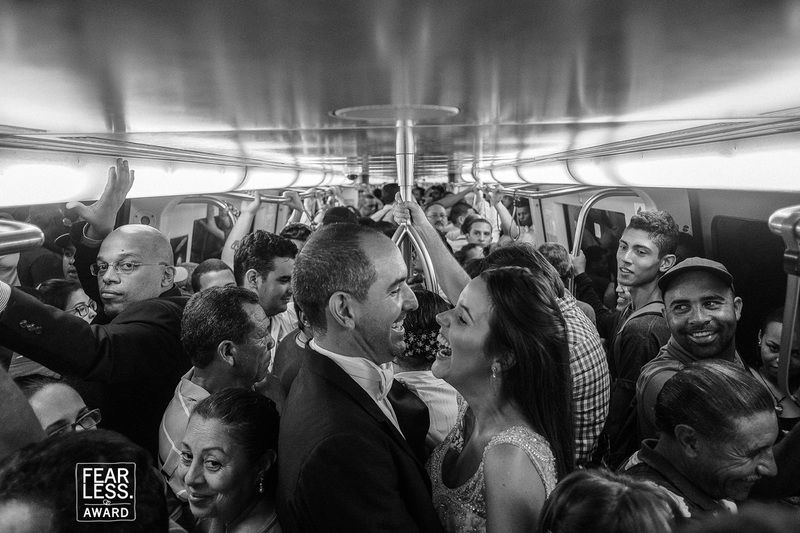 Complex scenes present definite challenges when it comes to keeping the emphasis on your subject—and it doesn't get much more complex than a crowded subway car! The photographer made it work here by getting up high and shooting down at the couple's faces. The converging lines of the roof and center pole also help guide our eyes in toward their smiling faces. The fairly substantial depth of field is an added perk, letting us enjoy the onlookers expressions and appreciate how much they seem to be enjoying the moment, too.